by Dorothy Ford Wulfeck, M.A. To enter the book, go to Table of Contents of Wilcoxson and Allied Families (Willcockson, Wilcoxen, Wilcox), by Dorothy Ford Wulfeck, M.A., privately printed by Commercial Service, Waterbury, Connecticut, 1958. 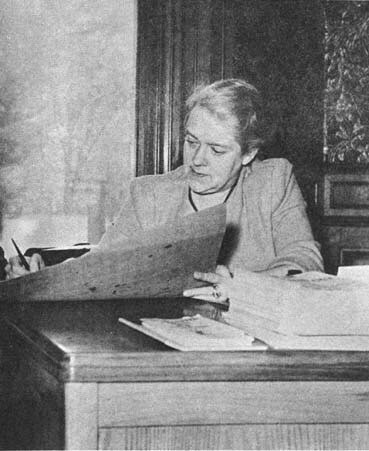 Mrs. Wulfeck's book is the most widely-respected source for Willcockson family research. NOTE: This project is in progress. So far the book has been posted from the front cover through page 160, completing the first, second, third, fourth, fifth, and sixth generations, PLUS all illustrations are now posted!! Our warmest thanks go to Les Tate for contributing his beautiful scans of all the pictures in the original Wulfeck Wilcoxson family book. Please return soon to see more generations of descendants and more pages added. New: Messages from the author's family! This is a full-featured message board, just for us researchers to connect and compare notes! Search our entire family research website complex! We welcome you to this family research website in honor of the work of love given to us by our dedicated Wilcoxson cousin Dorothy Ford Wulfeck, M.A. We are certain that she would want all of us to explore, share, and extend the research she pursued. She has inspired us to look back in wonder, study in gratitude, and grow together in joy. A special website for John and Sarah will be launched and linked to this one in the near future. So far, besides Mrs. Wulfeck's wonderful book, we have posted a website for one branch of John and Sarah's descendants, the Elijah Willcockson and Charlotte Calloway Family. Today, John and Sarah's thousands of descendants reside in the far corners of the U.S. and the world, following the legendary pioneer spirit they have inherited from our Willcockson and Boone ancestors. We invite you to embark with us upon this engaging adventure. We are striving to account for and reach out to as many of our fellow descendants of John and Sarah as possible. We share an appreciation of our rich American history and a deep sense of gratitude for the hard work, sacrifice, and vision of all those who came before us and made our prosperity, our very existence, possible. This presentation of Dorothy Ford Wulfeck's Wilcoxson and Allied Families (Willcockson, Wilcoxen, Wilcox) is the result of many hours of copying, scanning, proofreading, formatting, html processing, and posting by descendants Cindy Hale Bray and Alice Imig Stipak, and by descendant-in-law Les Tate. We have tried to render Mrs. Wulfeck's pages as faithfully as possible, including the appearance and "feel" of the original. Whenever we felt it necessary to add something for clarification, we always put it inside of brackets [ ]. We would appreciate reports of any errors or link problems, etc., found on this website. (through daughter Elizabeth and also son Samuel) P.S. Please sign our Guestbook before you leave! We are very pleased to share with you the following warm messages from the author's family! "What a wonderful surprise to stumble upon this site! My husband is Dorothy Wulfeck's oldest grandson, Wallace H. Wulfeck II. We are delighted that Grandma Dot's wonderful book on the Wilcoxson family is now so accessible. It is also a delight to see the family pictures in the book (e.g. Wally's father and mother and Wally and his brothers when they were little guys). Dot was a remarkable woman and so ahead of her time. We often have talked about how much she would have LOVED the internet and how it has revolutionized the field of genealogy. We wish you well with the site and look forward to many visits. We'll also let Dot's other two grandsons and great-grandchildren know about the site (including our daughter Sarah... named of course for Sarah Boone!)." "Great site! Keep up the good work...."
Copyright © Alice Imig Stipak 2001, 2002, 2003. All Rights Reserved. Commercial use of this material is strictly prohibited.